Besides income tax, property tax, payroll taxes, excise tax, and sales tax, real estate investors are also required to pay capital gains tax upon the sale of rental property. This is a fee paid to the government when the sale price of your investment property is higher than your buying price. For instance, if an investment property was purchased at $350,000 and sold for $500,000, the real estate investor will be required to pay a percentage of the $150,000 profit as capital gains tax. Real estate investors must, therefore, understand what is the capital gains tax on the sale of rental property. Short-term capital gains – These are gains on selling a rental property owned for one year or less. The average tax rate is about 25%. Long-term capital gains – Real estate investors that have owned an investment property for one year or more are entitled to a tax rate of not more than 20%. Capital losses can cancel out capital gains when filed within the same tax year. For instance, if a real estate investor makes a loss of $30,000 selling rental property A and makes a $28,000 capital gain selling rental property B, the net capital gain will be -$2,000. This strategy is referred to as tax-loss harvesting. However, there is usually a limit to the amount you can report as capital losses in each tax year. Short-term – At a rate of 25%, the property investor will be required to pay $2,500. Long-term – The investor will only pay $1,500 at the rate of 15%. Let’s say a real estate investor bought a rental property 6 years ago for $350,000. Over time, he/she upgraded the doors and windows, cooling, heating, insulation, and plumbing. In addition, new built-in appliances were installed, new flooring was added and damaged sections of the rental property were restored. If these home improvements cost about $150,000, then the basis of the property becomes $500,000. If he/she sells the property for $600,000, the capital gains on rental property will be $100,000. Real estate investors should retain copies of their records and receipts for submission when filing taxes. One of the best ways a real estate investor can avoid paying capital gains on rental property is by living in the rental property for at least two years before selling it. The IRS allows a tax exclusion of $500,000 for married taxpayers and $250,000 for single taxpayers for capital earned from selling their primary residence. For example, let’s say a real estate investor bought a house for real estate investing ten years ago for $400,000 and rented it out for the first six years. They then moved in for the next four years and eventually sold it for $500,000. Since they lived in the home for 40% of the time, they can deduct $40,000 from the capital gains tax on rental property. This means that only $60,000 will be liable to capital gains taxes. Real estate investors can deduct any costs associated with selling their income property from the sale price, thus significantly reducing their capital gains on rental property. 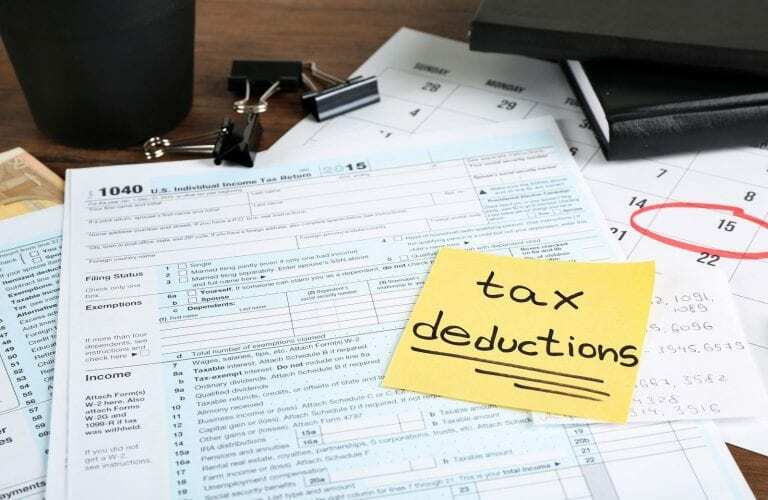 Some of the costs that qualify for deduction include appraisal and advertising fees, transfer taxes, broker commissions, escrow and closing costs, settlement fees, title search fees, and any other document preparation fees. Again, they need to keep receipts and records for submission when filing real estate taxes. Let’s say a real estate investor sells their rental property for $500,000. He/she pays an attorney $24,000 in fees and $10,000 for escrow, closing and recording. In addition, he/she pays a broker 5% ($500,000x.05=$25,000). Therefore, the total cost of sale is $59,000. Their net sale price is therefore $500,000 – $59,000=$441,000. If the basis of the home is $300,000, the capital gain is $441,000-$300,000=$141,000. As a result, there is a significant reduction in the capital gains tax. The IRS allows 1031 exchanges (also referred to as like-kind exchanges) for real estate. This kind of exchange happens when a real estate investor sells one property and closes on the purchase of another similar one within 180 days. However, this procedure is very technical and must go through an IRS-approved intermediary who manages the funds for purchase and sale. This means that real estate investors must reinvest all their capital gains on rental property into another property of equal or greater value without accessing the sales proceeds. The 1031 exchange allows investors to defer, avoid or reduce the capital gains tax on their rental properties. Looking for a suitable investment property for a 1031 exchange? Start your search here at Mashvisor. Real estate investors can defer income tax and avoid capital gains on rental property by using their retirement savings to buy rental properties. With retirement savings vehicles such as traditional IRAs and 401ks, they will be investing using pre-tax dollars. This means that a real investor will not be required to pay taxes on your capital gains when selling. Another great way of avoiding capital gains taxes is through a Roth IRA. Just like traditional IRAs and 401ks, investing using savings from a Roth IRA exempts investors from capital gains taxes. 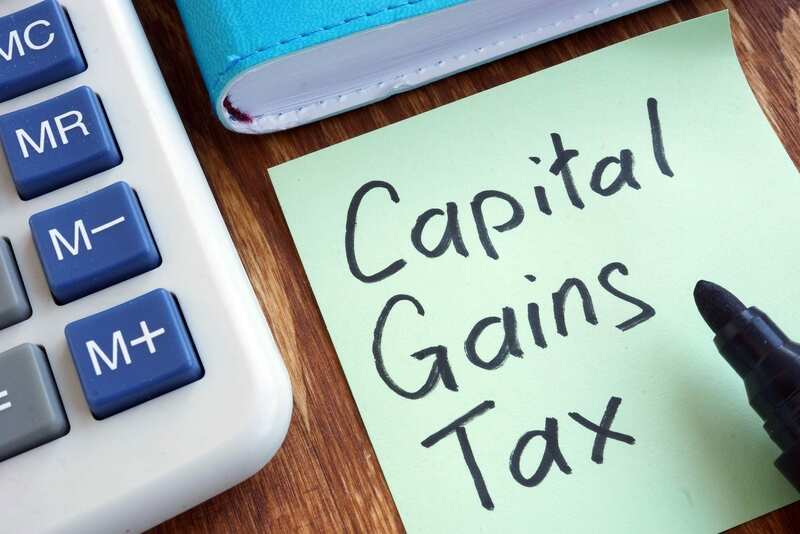 Capital gains tax on rental property can bite a huge chunk out of the return on investment of an investment property sale. The good news is that the strategies outlined above can help you avoid or defer the capital gains tax. Please note that some of the more complex tactics for reducing capital gains on rental property (such as a 1031 exchange) will require consulting a qualified tax professional to get everything right. Charles Mburugu is a HubSpot-certified content writer/marketer for B2B, B2C and SaaS companies. He has worked with brands such as GetResponse, Neil Patel, Shopify, 99 Designs, Oberlo, Salesforce and Condor. Check out his portfolio and connect on LinkedIn. Real Estate Investing for Beginners: How Is Rental Income Taxed? Professional Property Management Company: What Traits Should You Look For?